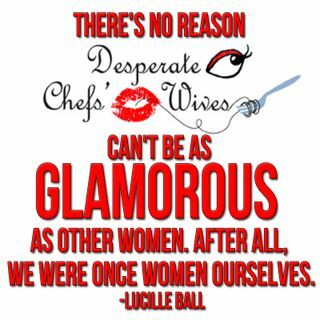 Desperate Chefs' Wives: Not JUST for ChefsWives! I want to reiterate that on the DCW blog, ALL are welcome. 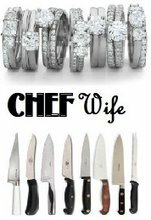 Of course this blog is designed with the chefwife in mind-I know for a fact that there are foodies, chefs, and other non-wives who participate on this blog. 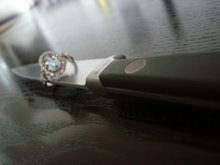 I'd like to extend a cyber hand to Restaurant Bride (whose husband is a restaurant manager) and let her know that she is more than welcome to share her woes with us. Her most interesting and informational comment was left on the post "Welcome to the Chefs Wives Club". RB wants to know if it is unhealthy for her to dream about the restaurant burning down (sans the victims). I don't care if it's unhealthy-it's what we do! I think we can learn something from women married to managers since the experience many of the same difficulties as us as well as some new ones. Looking forward to it! Your blog is better than many others. I mean, you take the time to answer bloggers back. Some don't even bother (celebrity names witheld)..
Are you and Mr. Chef going to the SOBE F/W Festival this weekend? By the time I scraped the $$$ together...the tribute dinner sold out!!!! Passion, Thanks for the love. I can't blame those celeb chefs. After all, they're famous and I am just a second grade teacher and chefwife. teehee. We won't be at the F/W Festival this weekend, too much money not my scene. You know, the more I think about it-I totally wish I was going to the big event in South Beach. Maybe in a few years or more I'll be pushing my chef around the event from one promo booth to the next. I would be dressed in a white pant suit with some sort of busy-woman looking earpiece. Woah. I better stop now because even this fantasy world is funky. Sense my need to feel important yet? This blog is my therapy --- just recently discovered it and I am hooked. It is so nice to have a little support group who understands.